My employer organizes networking events called Tuesday Update by Novay. The theme this time was identity, and more specifically consumer identity (consumer2business). We had an audience that was a very good mix of business people (financial industry, some media, some operators), government, ‘identity industry’ and people who more generally are involved with innovation. It was an interesting and lively event! We invited Frank Leyman from FEDICT to give a talk on the Belgian eID, and it’s usage for consumer identity. FEDICT is the Belgian government organization responsible for the eID card. The Belgian government eID can, contrary to the Netherlands, be used by private businesses, and they appear to be ahead of the Netherlands in this area (e.g., an actual eID card …). This made it a very interesting case, and Frank explained the different functionalities very well. See here for his slides. We also invited Yme Bosma from Hyves to present the Hyves view on identity. Hyves is the by-far-largest Dutch social network, and Hyves is, as its US/international counterparts, becoming an Identity Provider for low-trust identity. Think OpenID, oAuth etc. Hyves is, with some limitations, also a relying party. What’s especially interesting to me is that Yme is quite straightforward on their business case (my wording): we provide more value to our users, and it’s easy to do, so we do it. See http://docs.google.com/a/yme.nl/present/view?id=dg22g52h_10c29qhvdj for his slides. I also gave a presentation, discussing among other business models, market entry en privacy aspects. 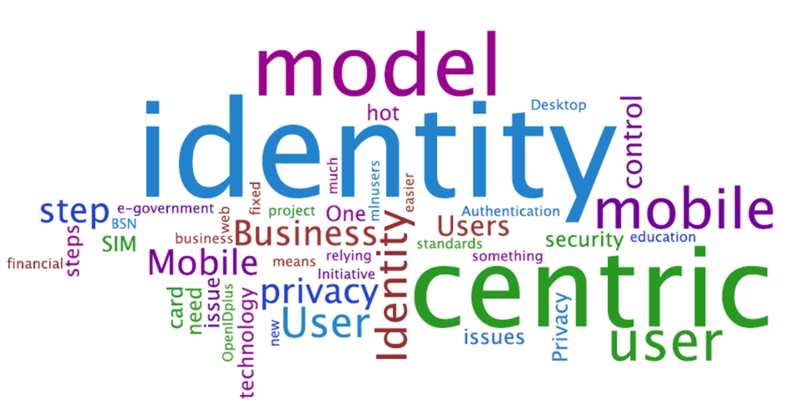 And I advocated user centric identity, and our personal buzzword: mobile centric identity. I also briefly discussed our high-trust consumer identity for the Netherlands project proposal, and the OpenID.nl+ initiative (by ECP-EPN) which I’m becoming more involved in (as project manager for the proof-of-concept). See http://www.slideshare.net/wegdam/consumer-identity-tuesday-update-on-1-december-2009 for my slides (the first few slides have some Dutch, but don’t worry, you can easily skip those). This entry was posted on Friday, December 4th, 2009 at 00:56 and is filed under Uncategorized. You can follow any responses to this entry through the RSS 2.0 feed. You can leave a response, or trackback from your own site.